Good morning, Alicia blogging today. 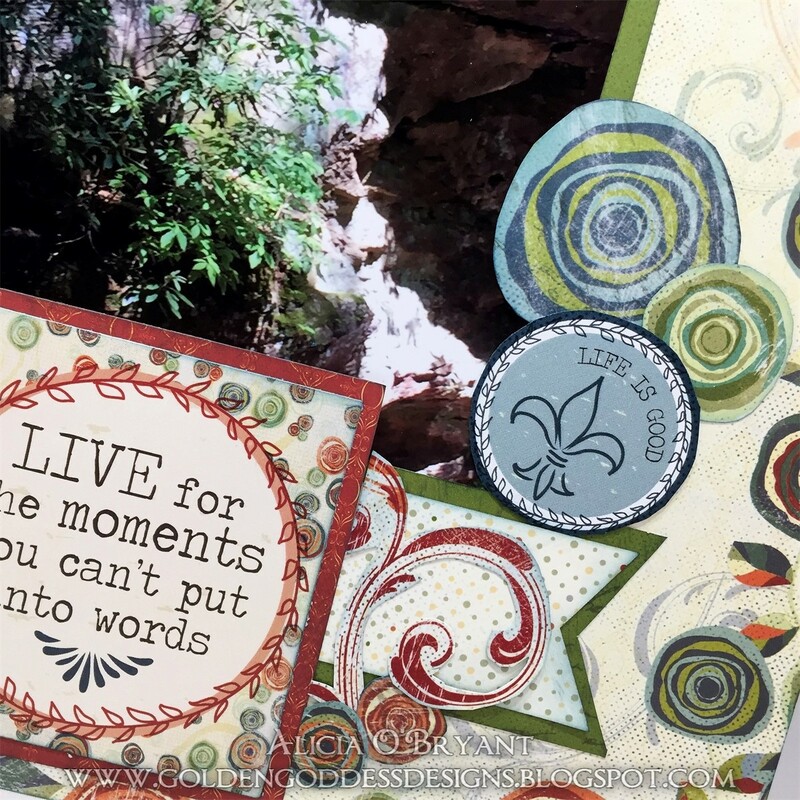 I have a layout from a hiking adventure I took a couple of years ago. The photo doesn't do justice to the majestic beauty at Red River Gorge in Kentucky. This is a massive stone outcropping along the trail side deep in a ravine. I used the Urban Oasis and Earth Wind Fire collections to scrap this wonderful photo of a great memory. 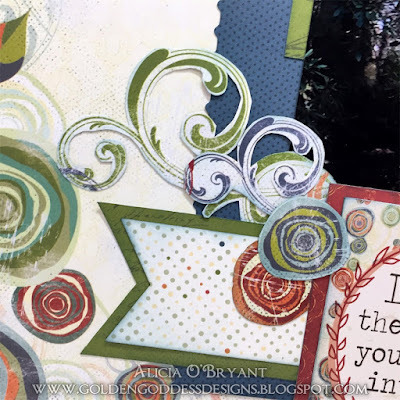 I fussy cut some scrap papers from this collection and created lots of the "crazy circles" to pop up and add around my layout. I cut some pieces from the sentiment sheet, Earth Wind Fire 500. I inked all the edges of my new circles and the card stock sentiments. I also fussy cut some flourishes and tucked them underneath. 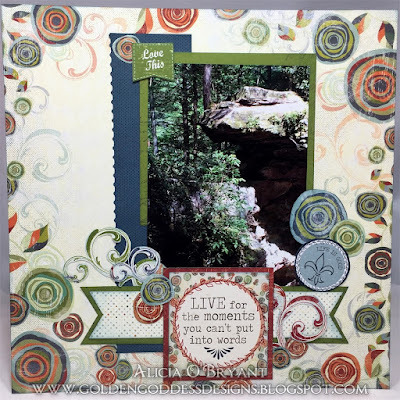 I used a banner behind the title to tie all my clusters and fussy cut pieces together.